Bring your children out to a naturalist-led class that will immerse them in the natural world, using different exploration-based techniques to get them engaged. Join us monthly as we become scientists and learn the skills necessary to observe and explore our world. Each month we will have a new topic. Seize this unique opportunity to closely study the park’s ecology using scientific methods. Participants will do hands on field research using lab techniques and data collection to examine the many environments of Bowie. Theme: For this semester, we will be studying astronomy! Members of BSAS will be joining us for a special day of solar viewing and night class of stargazing. Allow your child’s interest to thrive in this comprehensive science program that uses four classes over an eight-week period to investigate a seasonal theme. This program has a special registration process. Since this program is more in-depth than our other homeschool-oriented classes, we have created a unique registration process. If you child/ren would like to participate in the theme for the nature scouts class, they will need to write one paragraph on why they are interested. The paragraph must be handwritten. This way we know that all the students in the class are really passionate about the subject. We will have a date that the paragraphs must be handed in by. Participants in the course will be chosen based on the content of their handwritten paragraph as well as the order in which we receive their registration. Come experience Bowie Nature Park at night. Meet inside the nature center and then go explore the trails with a Naturalist. We will end up in the Dome Meadow where we will roast marshmallows and make s’mores. Registration is required. Please call 615-799-5544 or email programdirector@nullfairview-tn.org to inquire about spaces available. On Saturday, October 20th bring the family out to Bowie Nature Park for a Halloween movie treat. FunFlicks will be screening Disney’s Hocus Pocus. The movie will begin at 6:30 in the evening. This is a free event! Get set for a fun family movie night in beautiful Bowie Nature Park. A traditional “Halloween Ghost Story” turns into a real-life adventure for three kids who break the spell of the Sanderson Sisters. The story is an engaging one and will have even grown-ups pay close attention. The Sanderson Sisters (wonderfully played by Bette Midler, Sarah Jessica Parker and Kathy Najimy), convicted of witchcraft in Colonial Salem, Massachusetts and put to death some 300 years ago, are brought back to life when the candle of black flame is lit. It’s up to two teenagers and an 8-year-old to stop the wicked witches from succeeding with their sinister plan: to lure the town’s children to their witch house and “drink” their life-force away from them. With many jokes throughout, this is another example of a movie made for kids, but enjoyed by grown-ups as well. This year marks the 25th Anniversary for this classic Halloween movie. Fairview’s Police and Fire Departments will be cooking and selling candy, food and drinks starting at 5:30pm and leading up to the event. All of the proceeds from the sale of the refreshments will go towards the Shop with a Cop Event. Free popcorn will also be provided just before the movie starting at 6:15pm. Grab some blankets or chairs and come with an empty stomach! The “Shop with a Cop” program matches Fairview police officers with underprivileged children to shop for Christmas gifts. Not only does it build a positive relationship between the child and the officer, it shows a true giving spirit to those who are in need. Each year the goal is to increase the number of children reached. As the city grows, so will the number of children. This way the program continues to help many families in the future. Start the fall season out right. On Saturday, October 6th bring the family out to Bowie Nature Park’s Fall Fun Day. The excitement begins at 10am and will go on until 3pm. The event is free and includes fall and nature themed activities for the whole family. Children and grown-ups alike are encouraged to wear costumes. Pumpkins for decorating and food from vendors will be available for purchase. Park in the event field behind the playground and follow the signs to begin the fun. Your first stop will be just outside the Nature Center where you can grab a bag for your candy and get oriented by volunteers at the welcome table. Next up is the Pumpkin Patch where you can purchase a pumpkin to decorate and then you will be on to the bounce house for some much-needed bounce therapy. Inside the Nature Center you can enjoy making fall crafts. Now, just head out the back door where you can get your face painted and find the beginning of the Games Trail with nature and fall related carnival games stationed around this short trail behind the Nature Center. At each game station, children will win prizes or candy. This year we are overly joyed to have a few guests from Montgomery Bell State Park joining us. Ranger Tim Wheatley will be bringing some of their ambassador animals to show and tell about their unique qualities. He will be presenting at 10:30am and again at 12:30pm. Another new addition to the festivities includes free face painting by Fantasy Face Artistry. Yoga can be practiced by all ages and fitness levels. In the event of inclement weather, class will be moved into the Nature Center. Strengthen your body and calm your mind surrounded by the peaceful beauty of Bowie Park. 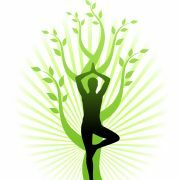 Join us in Joann’s Outdoor Classroom to begin your yoga practice or deepen an existing practice; all skill levels welcome. Please bring a mat and water. From saucha to savasana, come practice yoga in Joann’s Outdoor Classroom. Learn basic meditation to calm your mind, yin yoga to strengthen your poses and yoga sequences you can incorporate into your own practice. Please bring a mat and water. Bring your children out to a naturalist-led class that will immerse them in the forest, using different exploration-based techniques to engage them with nature. Join us monthly as we become scientists and learn the skills necessary to observe and explore our natural world. Each month we will have a new topic. Fairview Parks Department and Tennessee Wildlife Resources Agency (TWRA) is inviting kids ages 16 and under to take part in one of the world’s oldest and most-loved pastimes – fishing! This year’s Youth Fishing Rodeo will be held once again at Veteran’s Memorial Park at Evergreen Lake off of Hwy 96 in Fairview. It is located on Black Pine Road across the street form Leatherwood Inc. The Rodeo will be June 9th from 7 a.m. until 10 a.m. as part of the statewide Free Fishing Day. Registration will begin at 6:30 a.m. with a drawing for prizes at 10 a.m. Prizes to be given away have been donated by TWRA and include fishing equipment such as tackle boxes, and fishing poles. In addition to having a chance to catch catfish and win prizes, participants will be treated to free hot dogs and bottled water. On June 9th, kids 16 and under will have the first shot at catching hundreds of pounds of catfish that TWRA will release into the lake at Veterans Memorial Park. Participants should bring one fishing pole per child participating in the Fishing Rodeo. Please leave extra rods in the car. Once the drawing for prizes is finished at 10am, the stocked area will be opened to everyone and extra rods are welcome. Free Fishing Day events have been held across Tennessee since the early 1990s and the event in Fairview continues to grow every year. Free Fishing Day is a statewide and national celebration that offers an opportunity for anyone to fish without possessing a fishing license. Dozens of special events are held across the state with most designed to attract kids to the outdoors, but with their parents’ participation. However, the day is also meant to allow anyone to fish for free with the intent of introducing more people to fishing, or to rekindling an old passion for the outdoors. All public waters will be open to fishing without a license requirement on June 10th, according to the TWRA. Garden Party – POSTPONED. DATE TO BE DETERMINED. 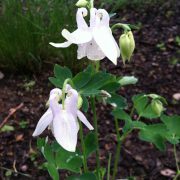 A new rain garden is under construction at the Nature Center and we need your help to get it going! 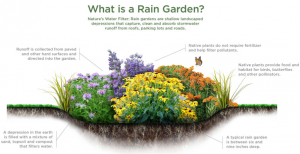 A rain garden is a shallow depression that is planted with deep-rooted native plants. Its job is to capture rainwater runoff and stop the water from reaching the sewer system. 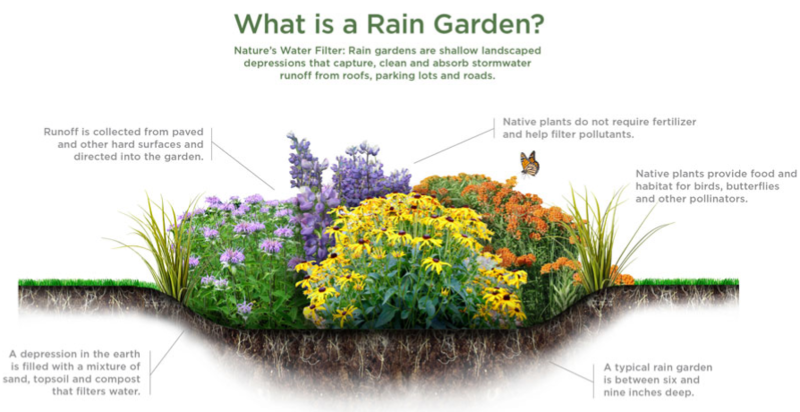 Rain gardens greatly increase your contribution to preserving clean rainwater, creating habitat, and preventing local flooding and water pollution. Join us to learn more about these unique features and get your hands dirty helping to build one here in Bowie Park. Registration is required. To register, please contact Nancy Jackson. https://www.bowiepark.org/wp-content/uploads/Collumbine.jpg 2592 1936 bowiepark https://www.bowiepark.org/wp-content/uploads/logo-header.png bowiepark2018-05-31 07:14:482018-06-15 13:37:52Garden Party - POSTPONED. DATE TO BE DETERMINED.